The demand for female fights have grown. More than 700 fights happened in the pro women’s divisions alone in 2016. Five Promotions were ahead of the curve and are nominated for this year’s award. The WMMA Press committee is a set of journalists that have covered the female divisions of martial arts for years on may different levels. This is the 7th year for the awards which sees the best in female fighting recognized. Here at the nominees for the WMMA Press Award for Promotion of the Year. For the 6th year, the WMMA Press committee honors those who help fighters showcase their skills; promotions and sponsors. 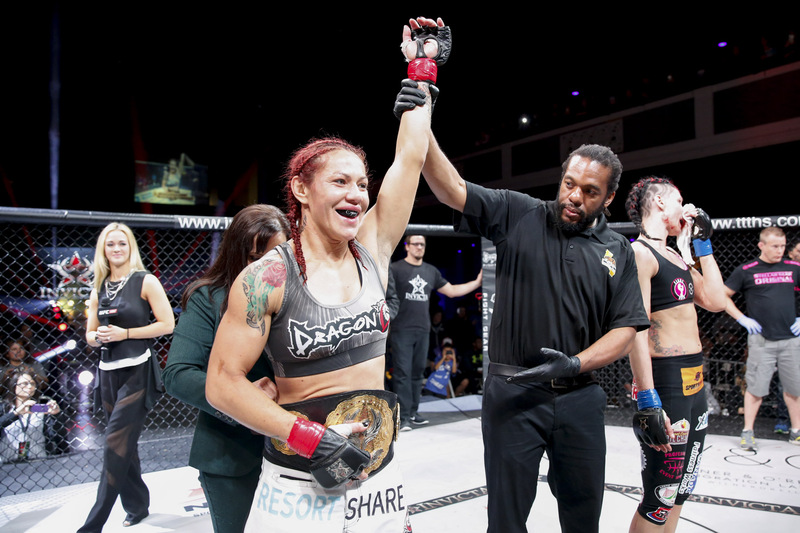 With more and more MMA promotions holding female bouts, the list of nominees gets tougher and tougher to narrow down. Six stood out for having over a dozen female bouts. In tough times, sponsors help pick up the slack. From gear to financial sport for training and medicals, they are an integral part of helping these athletes thrive. The committee will vote on the winners next week. One of Japan’s top bantamweight prospects Shizuka Sugiyama will be returning to action as she rematches Ji Yeon Kim at DEEP-JEWELS May 31 in Tokyo, Japan. This is one of three bouts announced Wednesday. Both Sugiyama (13-4-1) and Kim (2-0-2) has back to back wins. Sugiyama has won 11 of her last nine fights; while Kim started her career with back to back draws including her debut match against Sugiyama in 2013 at DEEP. Also announced, Emi Tomimatsu and Ayaka Miura both look to rebound from losses in a 105 bout. Tomimatsu (8-10) is the former DEEP-JEWELS 115 pound champion but has suffered back to back decision losses. Miura (1-1) is coming off her first pro loss and will be making the drop to 105. Rounding out the card is Yuko Oya taking on Misaki Takimoto. The event will see the semi-finals and finals of the DEEP-JEWELS 106 title grand prix as Mei Yamaguchi battles Mina Kurobe and Satomi “Sarami” Takano takes on Tomo Maesawa. The winners will fight each other in the main event for the vacant 106 title. Coming off a busy February, all the Women’s Unified Pro MMA Rankings saw changes coming off the InvictaFC 12 card , the opening round of the DEEP-JEWELS 106 tournament, and all the UFC events. With the return of Cris “Cyborg” Justino, the InvictaFC champion regains her #1 status at featherweight after her TKO win over Charmaine Tweet. Marloes Coenen (now 2), Julia Budd (now 3), and Faith Van Duin (now 4) all drop a spot. Talita Nogueira drops off the list due to activity. Tweet drops from 7 to 10 in the rankings due to her loss, rotating Amanda Bell (now 7), Gabrielle Holloway (now 8) and Megan Anderson (now 9) up a spot. With her loss to champion Ronda Rousey, Cat Zingano drops from #2 to #3, trading spots with Miesha Tate in the only change in the 135 top ten. With Deanna Bennett’s successful drop to 115, she drops out of the 125 rankings. All of the fighters from 4-8 in the flyweight rankings last month move up a spot. Roxanne Modafferi moves from 10 to 8, with Jin Tang (9) and Silvana Gomez (10) debuting on the list. With her win over Mizuki Inoue, Alexa Grasso has debuted in the top ten at strawweight, taking the #8 spot. Tecia Torres (now #9) and Kalindra Faria (now #10) drop a spot. At 105, Mina Kurobe enters the list at #9 after her win over Emi Tomimatsu at the DEEP-JEWELS tournament. Cassie Rodish drops off the list with Saori Ishioka dropping a spot to #10. You can see the complete March 2015 Pro MMA Unfied Rankings here. In action Monday at RXF 16 in Brașov, Romania, Delia Georgescu defeated Maia Buzas by TKO round 1. On Thursday in Tokyo, Japan, Momo Koseki successfully defended her WBC atomweight title wiht a KO over Aisah Alico in round 2. With fight week vastly approaching, Invicta and the UFC have announced some events before the two cards commence in L.A. The first is an open workout at the UFC Gym/Sunergy in Terrance, CA Wednesday. If you noticed, Justino and Rousey won’t be there at the same time. It is expected Justino will be cageside for the Rousey versus Zigano title fight Saturday. Shannon Knapp states the Justino and Rousey superfight is closer than everyone thinks. The other UFC fight week event announced is at 11 a.m. pst Saturday at L.A. Live. The UFC will hold a press conference and fan event for the participants for the next seven events. Expected to be in attendance is Felice Herrig and Jessica Eye. The Nevada State Athletic Commission has suspended Ashlee Evans-Smith for testing positive from the diuretic hydrochlorothiazide after her fight with Raquel Pennington. Smith was fined 30% of her purse and her license is suspended for nine months retroactive from the fight. This means she will be able to return to fighting August 6th if she tests clean before she is re-licensed. 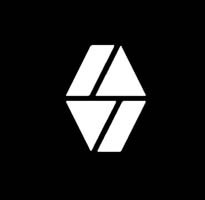 Congratulations to Society Nine on reaching their kickstarer goal. We have been helping to campaign for the company which is going to revolutionize women’s MMA gear. There is still four days left if you want to contribute and get yourself some of their great stuff including a pair of those revolutionary gloves. Go here. Congrats to amateur MMA fighter Jackie Abshire, who is the current Steve Austin’s “Broken Skull” Challenge champ. She defeated the “Skull Buster” obstacle course record by three and a half minutes. She won $10,000 and will continue to win $10,000 every episode her time in the extreme obstacle course isn’t broken. You can watch her episode here. England’s Helen Harper has signed with the PXC. The undefeated fighter will take on Cortney Casey in her promotional debut March 13th in Guam. Harper has finished in all of her wins, and had trained in Thailand for several years in Muay Thai. Casey (3-1) is coming off back to back finishes. The fight will stream on the PXC website March 13th. Invicta fighter Cassie Crissano is asking for your help. The featherweight is in a custody battle for her youngest son. You can read more and help her get a good lawyer by going here. 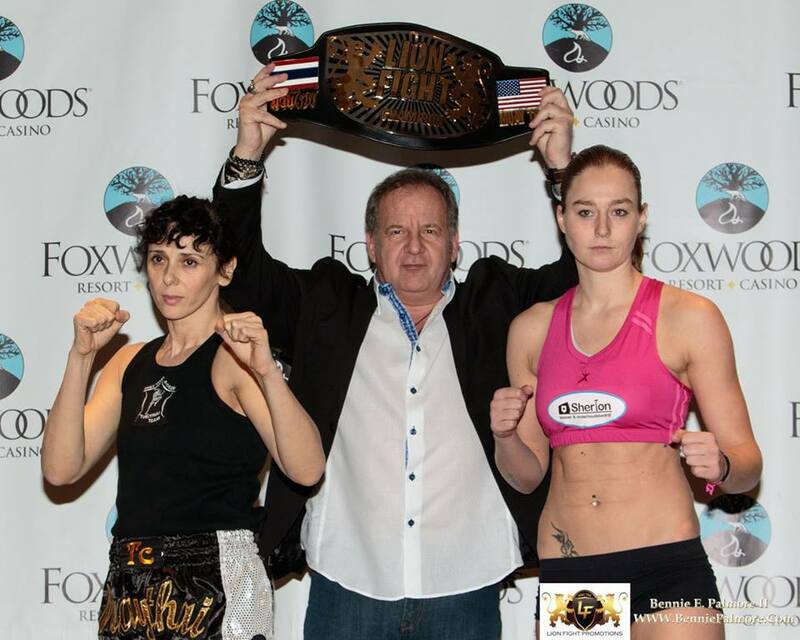 Jorina Baars returns to Lion Fight to defend her Muay Thai title against Chantal Ughi. This is a rematch of their 2009 battle (video here).This will air on AXS TV. In the only world boxing title match this weekend, Victoria Argueta defends her IBF World minimumweight title against Nancy Franco in Hidalgo, Mexico. Besides the quarterfinal matches, Emi Fujino teams up with Sachiko Fujimori to face off against Ayaka Hamasaki and Yuko Oya in a tag team 10 minute grappling match. In a rare Sunday UFC event in Porto Alegre, Brazil, Jessica Andrade will face Marion Reneau. The fight will air on Fox Sports 1. InvictaFC star Karolina Kowalkiewicz will fight Kalindra Faria in Poland. The match was set to be a title bout for the KSW strawweight title, but Faria missed weight by 2.2 pounds. The match will now be a three round non-title affair. You can see a complete schedule of pro and amateur MMA and pro boxing fights here. The match-ups have been finalized on the road to crowning a new 106 DEEP-JEWELS champion. The CJ Report posted the results Saturday from the lottery drawing held in Tokyo. With the order number they drew, the fighters could chose to seed themselves in the tournament as they saw fit. A reserve bout between Miyoko Kusaka and Miki Araki (nee Pan Hui) will also take place. The winners of the opening round will face off the in the semi-finals (and possibly finals) at DEEP-JEWELS 8. In addition to the tournament, the promotion also announced an interesting tag team grappling bout. InvictaFC atomweight title contender Ayaka Hamasaki will partner with Yuko Oya to take on WSOF vet Emi Fujino and her partner Sachiko Fujimori. According to the CJ Report, the winner is the one team that reaches three submissions in a ten minute time frame. Hamasaki had withdrew her name out of the 106 tournament, most likely because of a possible title shot with Herica Tiburcio at InvictaFC 12. We will have complete results from DEEP-JEWELS 7 February 21. DEEP-JEWELS has announced Wednesday an eight woman grand prix that will start February 21 to crown a new 106 champion. The title was vacated by Seo Hee Ham when she signed to the UFC late last year. Among the announced participants are former Valkyrie champion and veteran fighter Mei Yamaguchi (12-8); and the former interim D-J 115 champion Emi Tomimatsu (8-9). Tomimatsu will be making her atomweight debut in the tournament. Also slated to take part in the tournament: Tomo Maesawa (4-4), Ayaka Miura (1-1), Satomi Takano (4-5), Mina Kurobe (4-0), Yukiko Seki (13-24), and Masako Yoshida (18-20). A reserve bout has also been announced between Miyoko Kusaka (5-8) and Miki Araki (nee Pan Hui) (1-0). Conspicuous by their absences are former 106 champion Naho Sugiyama and current #2 Unified ranked atomweight Ayaka Hamasaki. Hamasaki’s non-participation fuels speculation she will be fighting on the next InvictaFC card; if not in a title match, a match that would be a title eliminator. Sugiyama has also fought under the Invicta banner and could see action as well. We will have complete coverage of the pairings and the event in the coming weeks. It has been an eventful start to 2015 after a whirlwind of fights and fight announcements to start off the year. Before we get into any more of the year, we wanted to give you some of our predictions for upcoming 12 months. Some of these are educated guesses, some are just wacky logic. Let us know what you agree and disagree with. 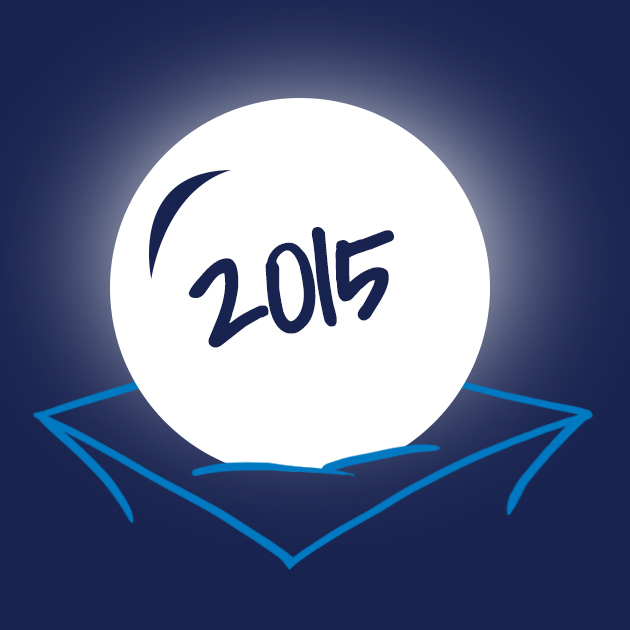 Also let us know some of your predictions for the year. This is probably the most radical prediction we will make, but hear us out. The UFC isn’t in great financial straits right now. Their credit rating has gone down which means they owe a lot of money. Part of this is bad luck with champions being injured in 2014. Another problem is that holding more almost weekly events isn’t cheap, especially with the worldwide expansion. We feel the idea of getting rid of individual sponsors to only a major one will hurt them financially due to not getting the benefits from a “sponsor tax”. The UFC getting rid of their own in house testing was in part because they couldn’t afford it. I won’t be surprised if they cut a deal with Fox for part ownership, but would be interested to see if Fox buys them out and keeps UFC President Dana White as a figure head. What if Floyd Mayweather buys it? Crazier things have happened. If the UFC champion beats Cat Zingano next month, it will be hard to find a competitive contender for her. The next choice would be Bethe Correia but it is hard to see the smaller bantamweight give Rousey a challenge. If Sara McMann beats Miesha Tate, a rematch could be interesting but still the champ just keeps getting better a lot faster. If Rousey fights three times this year, which seems to be the case, and goes undefeated, we think she will realize that she has basically “cleaned the division” and there is nothing else to do. She is refusing to face Cyborg Justino. With Hollywood calling, she can make more as an action star with less work. Unlike Gina Carano, if there is a person who develops in 2016 that seems to be “the next big thing” at bantamweight she will come back to MMA. We like the idea because the division needs a year at least to catch up with the champ’s level. People think this is a done deal, but a few things to consider. With the a fore mentioned sponsorship and financial situation with the UFC, the World Series of Fighting could outspend the UFC in terms of her contract. Teammate Tecia Torres is already signed to the UFC, and Aguilar doesn’t seem to want to be in the same promotion as her. The thing Aguilar needs to consider what is worth more – being #1 in the division or the money. Not an easy choice. We are still thinking Aguilar will sign to the UFC because there is not much the WSOF can do for her now in terms of finding credible opponents. The questions are how she will handle with the new blood in the UFC, and is a rematch with Esparza going to happen in 2015? This goes back to the UFC financial problems and more importantly, the sponsorship deal with Reebok. Fighters will get more money by having several sponsors behind them then they would with only one. The deal doesn’t take in account popularity, only rankings. Mid level talent will find “greener pastures” in Bellator as they can outspend the UFC, especially at this moment. We may see a MMA version of pro wrestling’s “Monday Night Wars” this year. That all started because the WCW got a bigger budget and brought in more popular talent. This is a 50/50 shot. Bellator already announced they will have another women’s division this year, but have yet to name a weight class. The stated it would be “different” than the UFC’s current ones. This leaves 105 and 125. Why do we think flyweight? Three major reasons. The first deals with the pool at 125. Our stats this year saw 125 as the most active division in 2014. Invicta has been actively signing talented flyweights as fast as they can the past few months so I am sure they are trying to beat Bellator to the punch. The third reason is if a UFC female fighter leaves the organization, it will be easier for Bellator to get talent from 115 going up and 135 going down. There were 50 fights at atomweight this past year, but the year also saw an influx in 105 talent. In the past, the pool consisted mainly of a few Americans and a lot of Japanese talent. With Invicta the past few years doing its part to highlight the atomweight division with star Michelle Waterson, more smaller fighters are dropping from the ever deepening 115 division, seeing they can have a career at a more comfortable weight at 105. Several of the TUF 20 strawweight competitors were too small for the division and it showed. We may see them circle back to Invicta and dropping to 105. The word from Japan is most of the strawweights there have seen the light and can’t compete with American talent at 115. The divisions in the Far East are shifting to 105 with a few exceptions. There is even talk of a pinweight (100 pound) division. An eight woman atomweight tournament for the vacant DEEP-JEWELS title is already being planned. InvictaFC president Shannon Knapp has been hinting as of late of an actual tv deal through her connections with the UFC. Here is our thoughts. One, if not two, events will be broadcast on tv this year with the rest being through UFC Fight Pass. Fox Sports 1 would make the most sense – seeing their success with “The Ultimate Fighter 20”. With Fox and Fox Sports 1 already seeing some good female matches in the coming months, they should see the value in terms of ratings to bring Invicta into the mix. This past year, 253 fighters made their pro debuts. This is a major drain in terms of amateur talent with some making their pro debuts in the next few months. It is going to take a year or two of the amateur division to regain the numbers, but I have no doubt those women dreaming of taking up MMA fighting will see opportunities. In the mean time, 47 countries held female matches this year with 41 having pro bouts. The number of countries themselves have expanded since last year, and will look to get over 50 in 2015. You will get to see names you might have never heard of (unless you read our site regularly). A few we can rally off – Jessy Rose (Australian; already signed to InvictaFC), Amanda Lino (South Africa; who won the IMMAF featherweight tournament and named Ammy Fighter of the Year), and Maryna Moroz (Ukrainian; undefeated at strawweight). Brazil itself has expanded their women’s divisions in 2014 and we can expect more talent from there to make their way to the States. 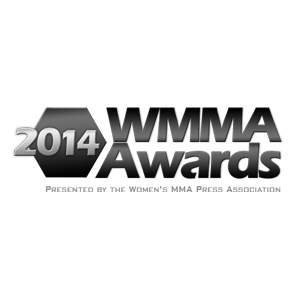 Over the next week, the WMMA Press Committee will be awarding their 2014 award winners. 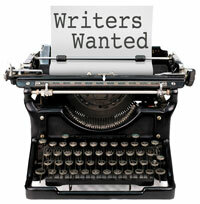 Member websites will be giving the away the awards via written stories and podcasts. The awards will wrap up with Pro WMMA Now giving away the “Fighter of the Year” award on Monday January 19. 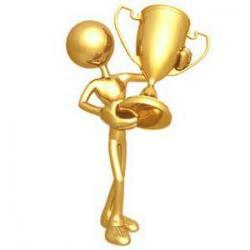 We will update the list (and links to acceptance interviews) as each website awards the recipients. Japanese MMA on New Year’s Eve has been a tradition for the past decade. This year, DEEP MMA will have the honor of bring a card to the Tokyo crowd. DEEP will borrow talent from it’s sister organization DEEP-JEWELS to bring four female bouts on the card. InvictaFC vet Ayaka Hamasaki will take on former Valkyrie champion Mei Yamaguchi in an atomweight bout. Hamasaki (10-1), the former D-J 116 champion, looked impressive in her return to the ring as she defeated former atomweight champion Naho Sugiyama this past August. Hamasaki’s only loss was to UFC title contender Claudia Gadelha. 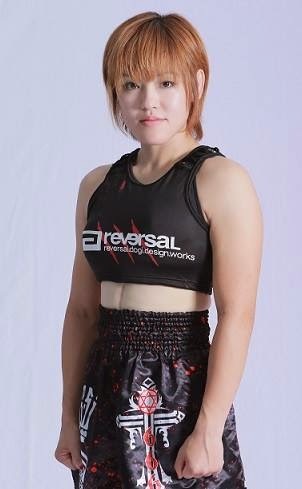 Yamaguchi (12-7) rebounded from close decision losses to gain a first round choke over Yukiko Seki at DEEP-JEWELS in May. Fresh off her win a few weeks ago, WSOF vet Emi Fujino (14-8) will take on Emi Tomimatsu (8-8), who is also coming off a win this month. Returning MMA legend Satoko Shinashi (30-2-2) looks to keep the comeback going taking on Rika Hamada (1-0). Rounding out the card, Japanese bantamweight Shizuka Sugiyama (12-4-1) looks for her second straight win as she battles former boxing champion Emiko Raika. 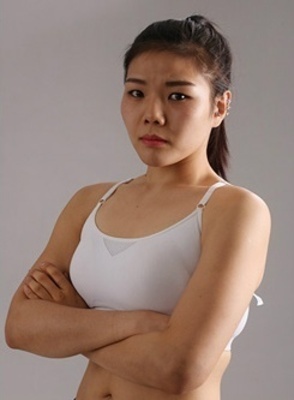 Another female bout maybe added as Satoko Shinashi has asked for a fight against Korean star Song Ga-Yeon . The event will be in a cage versus the traditional ring. No word on if the event will stream or air in the U.S.